The stars have aligned, and you’re getting married to the love of your life! 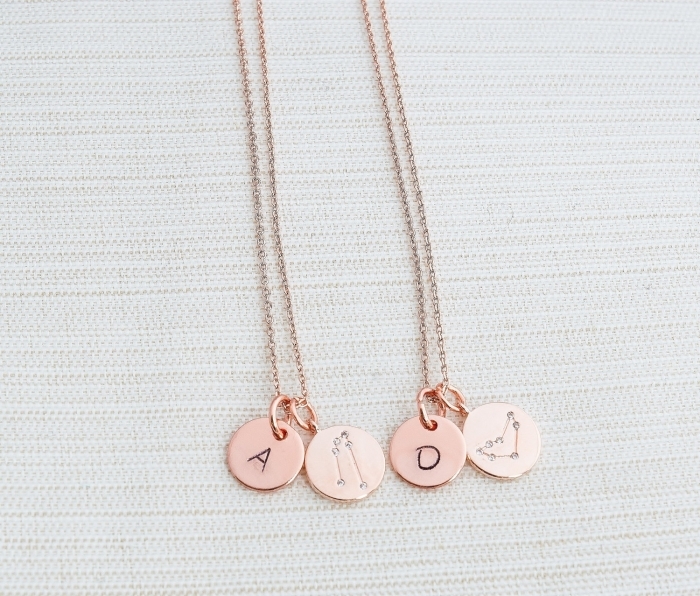 Celebrate this with your bridesmaids by giving them a beautiful zodiac accessory. 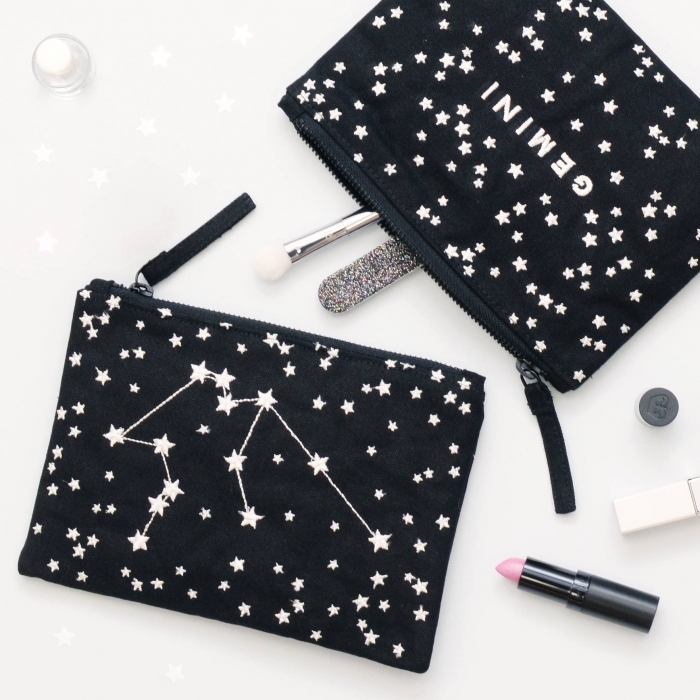 From out-of-this-world necklaces, to adorable make-up bags, even those who don’t regularly read their horoscopes will be charmed! 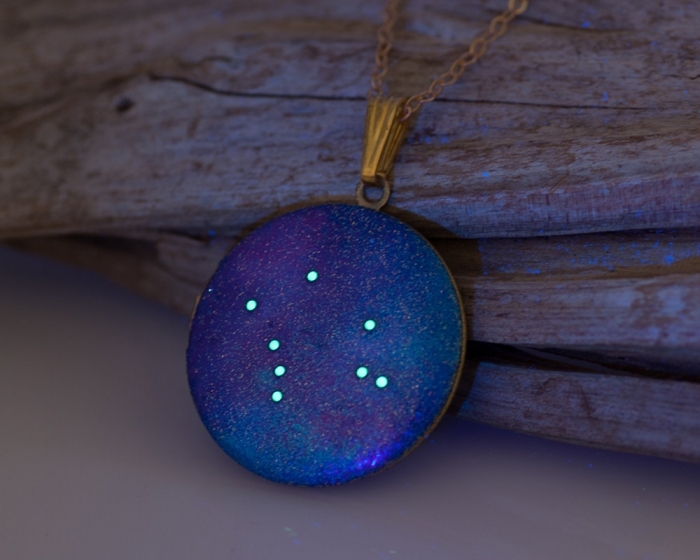 This enchanting locket from GossamerScapes glows in the dark. We’ve never seen anything like it! 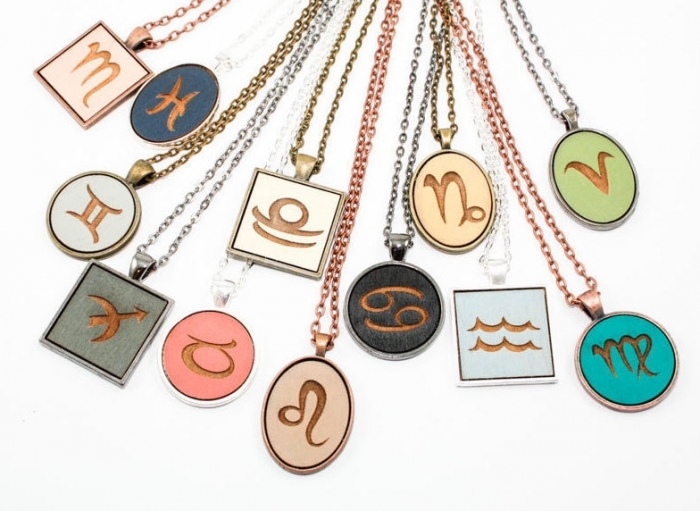 Aren’t these zodiac necklaces from OnceAgainSam cute? 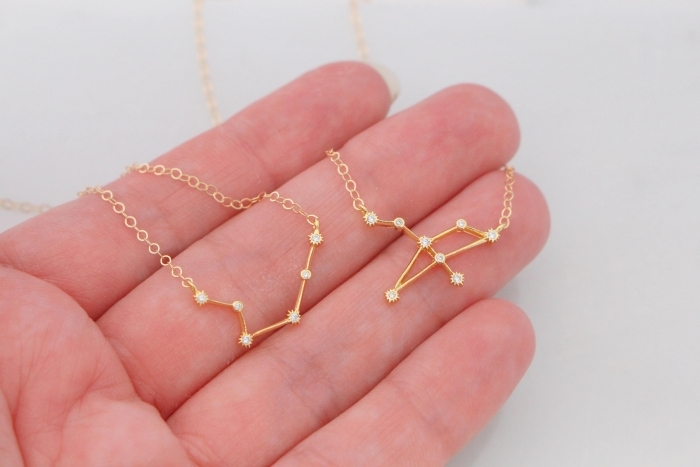 Dainty and elegant, your bridesmaids will definitely wear these constellation necklaces from ElegantSwan daily! Rose gold, personalized and zodiac themed? These stunning high-quality necklaces from CustomChic801 have everything going for them! This pretty and simple necklace from EmeryandOpal can be layered with other necklaces for an elegant every day look. 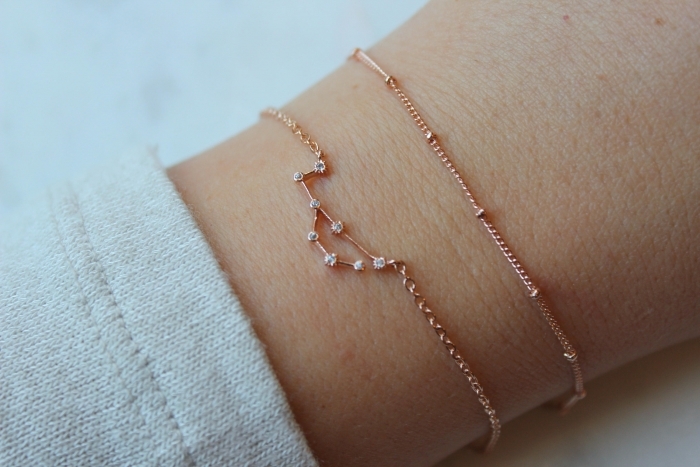 These delicate rose gold bracelets from laalee would be perfect bridesmaid proposal gifts! 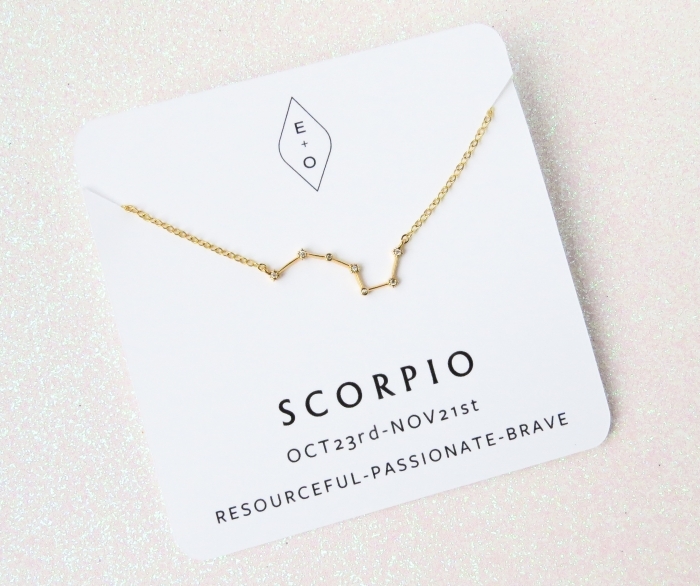 Now that you have your very own zodiac jewelry collection, you’ll need a way to display it. 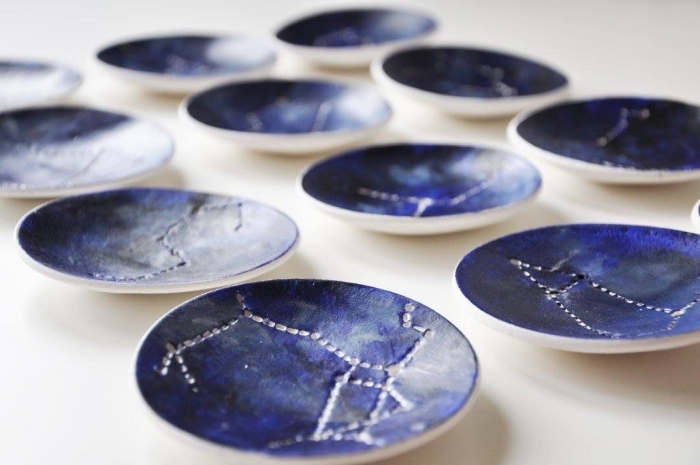 Is there a more perfect option than these constellation jewelry dishes from BetsyRoseJewellery? 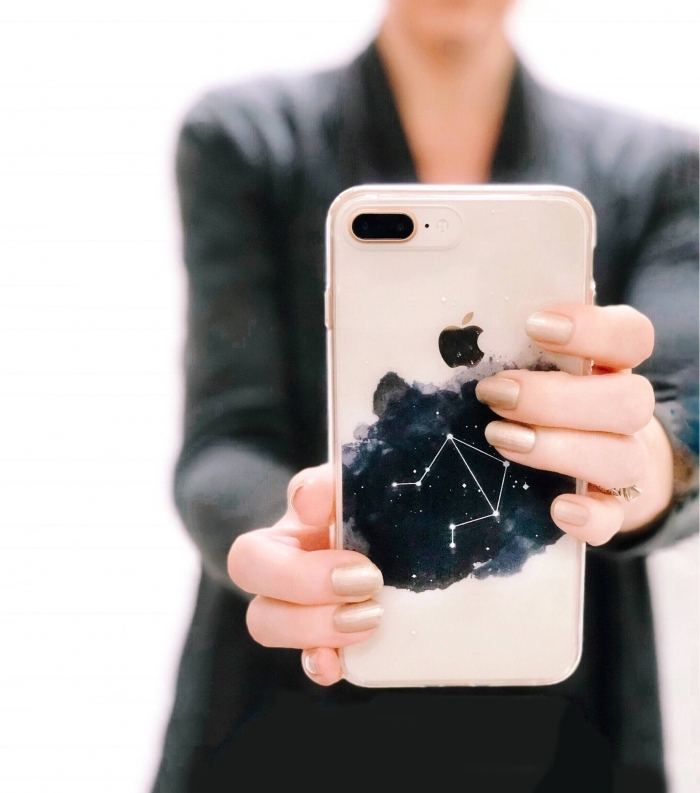 This clear watercolor zodiac iphone case from JoyMerrymanStore will add a cute touch to your bridesmaids’ mirror selfies. Fill these adorable make-up bags from AlphabetBags with some little treats for next-level bridesmaid gifts! Assembling your own bridesmaid gift boxes (maybe even zodiac themed ones)? 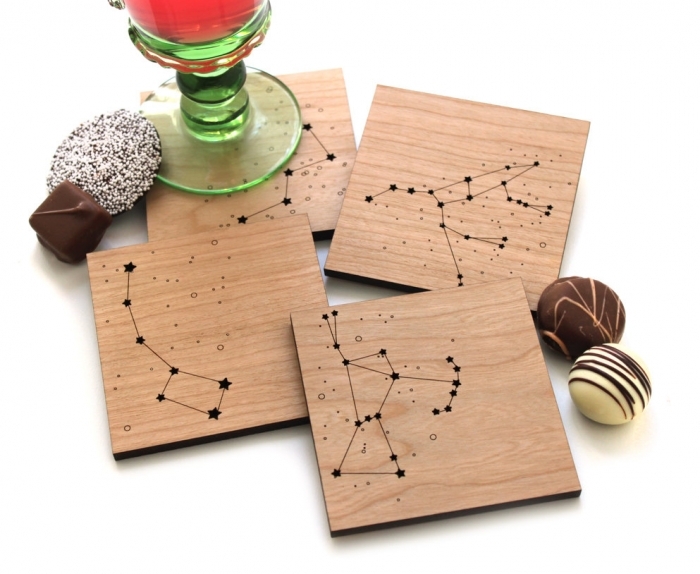 These constellation coasters from peppersprouts would look awesome in the boxes!